Monthly sales agent graph - Shows the top ten sales agents. Commission report - Shows the list of disbursements made during a requested period. 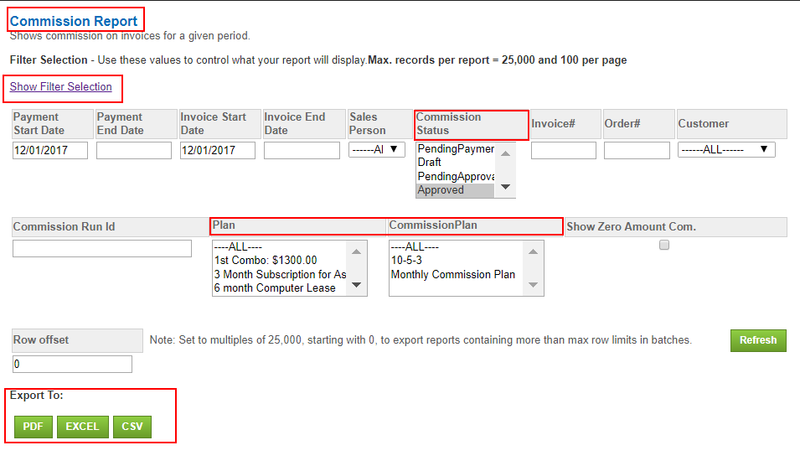 Order and commission report - Listing of orders with associated sales agents and their commission plans. You can extract the desired report by clicking on one of the reports.